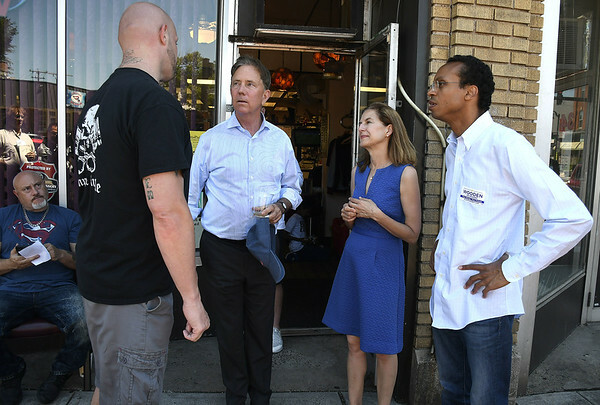 NEW BRITAIN – Democratic candidates joined Polish community leaders in New Britain Saturday for a tour of Broad Street and a taste of Roly Poly Bakery. 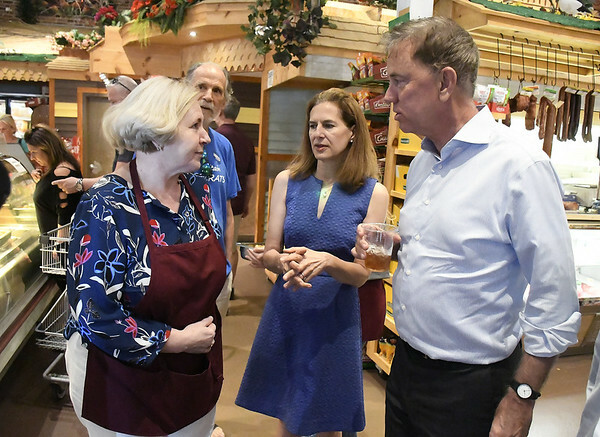 Ned Lamont, who is running for governor, his running mate Susan Bysiewicz and Shawn Wooden, who is running for treasurer, joined former mayor Lucian Pawlak and Adrian Baron, president of the Polonia Business Association in a tour of Little Poland. 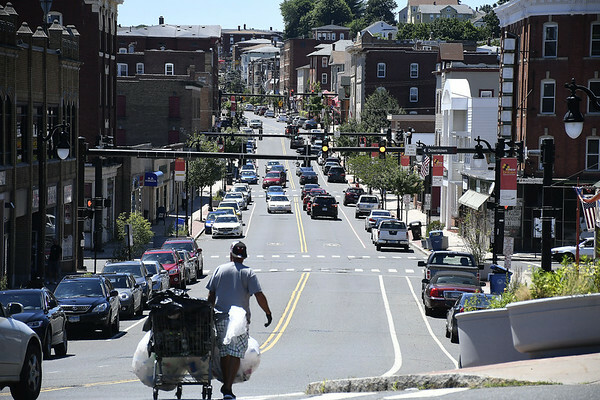 After having sandwiches brought to them at Roly Poly, they walked around the neighborhood and learned about efforts that had been taken to revitalize the area and make it a destination for visitors. Pawlak pointed out how the Little Poland had drawn 15,000 visitors to the area this summer. He also explained how Roly Poly had expanded to its current, much larger location in 2006 when the area was being redeveloped. “I don’t know anywhere in Connecticut that has kielbasa this big,” said Bysiewicz. After leaving Roly Poly, Baron explained how local Polish artists had painted control boxes with traditional Polish art. He also pointed out one of the signs placed around the neighborhood, which told the history of the Stanley family, which famously started The Stanley Works. It was not Bysiewicz’s first visit to Little Poland, but she said that it had become a “vibrant” area. 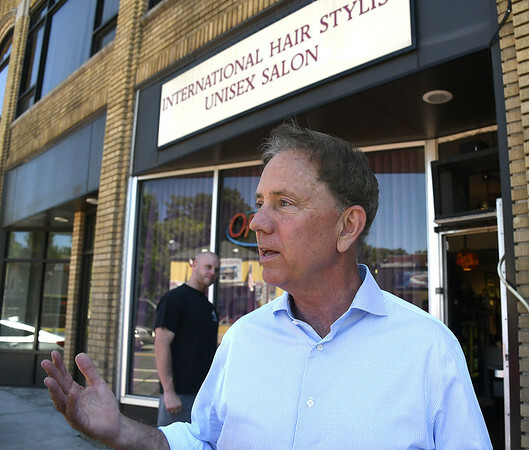 Lamont said that he saw that there was “a great sense of pride” in Little Poland. Posted in New Britain Herald, Candidates, General News, State on Saturday, 7 July 2018 15:31. Updated: Saturday, 7 July 2018 15:33.